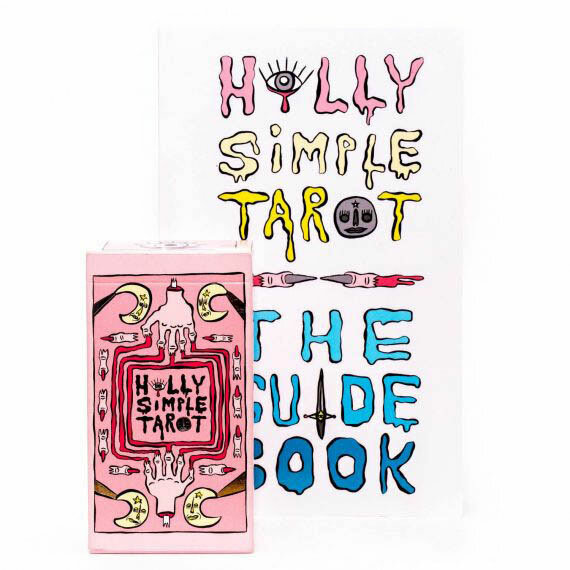 The Holly Simple Tarot Deck and guidebook set. 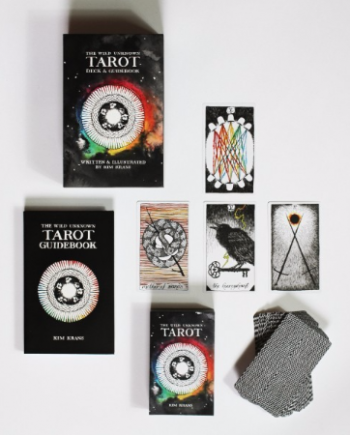 The deck includes 78 hand illustrated major and minor arcana tarot cards + 1 cheat sheet card + 1 artist trading card! 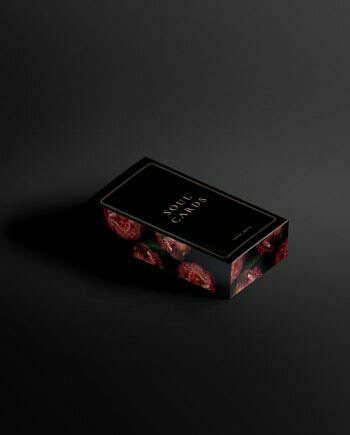 Cards are nestled in custom designed metallic-mirrored, classic poker style tuck box! Cards are printed on indestructible classic playing card stock which means your deck will stand the test of time while also allowing for ease of card fluidity and trickery. 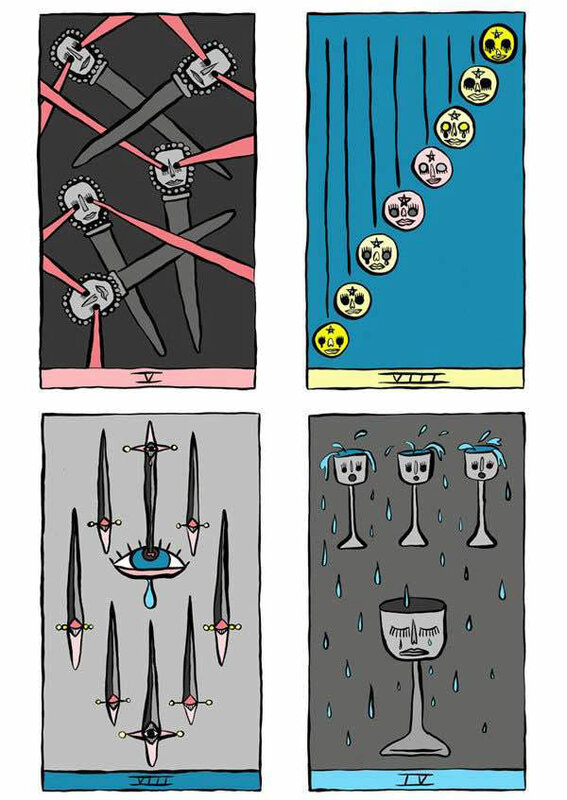 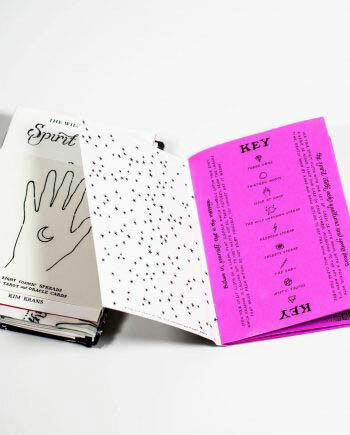 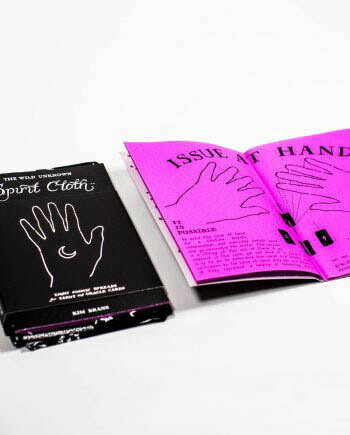 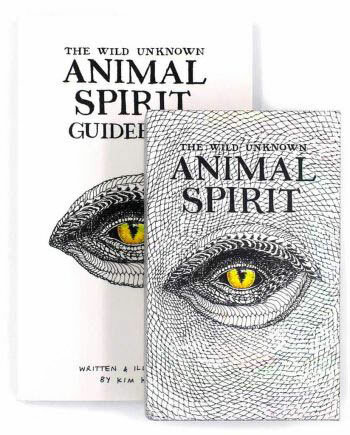 This set includes a corresponding guidebook for the Holly Simple Tarot, turning her original field notes and sketches from months of research into a zine inspired tarot guidebook. 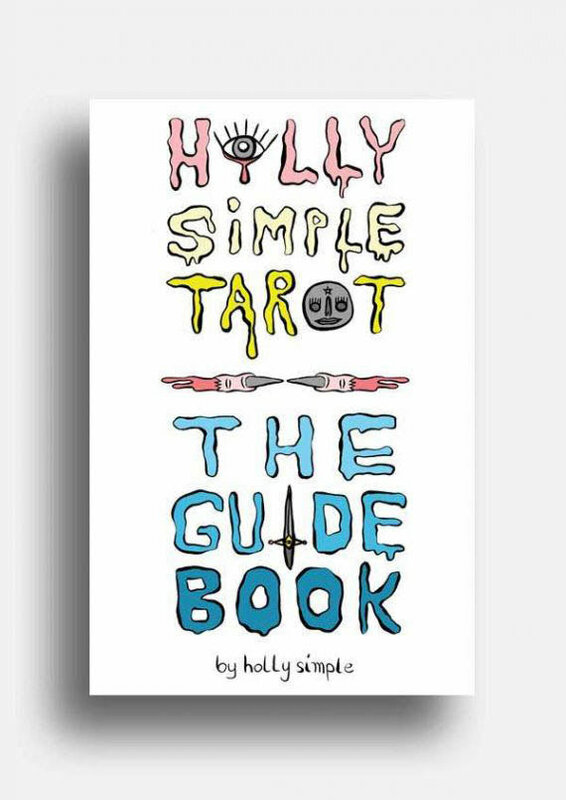 These pages are a helpful guide to understanding the background of each card and a glimpse into Holly’s inspiration and thought process along the way.